Elite Bartending School was established in Miami, Florida in 2007. We are a State Licensed Bartending School fully regulated by the Florida Department of Education. In building Elite Bartending School our founders wanted to put together a school unlike any other of its kind, providing a stellar education which was current and providing students with a challenging, and applicable hands on experience behind real bars. Most schools out there today teach students a history lesson with minimal challenge. We are not that school. We train our students in practical bartending. Getting them ready for the always changing bartending scene that cities like Ft. Myers, Ft. Lauderdale, Miami and Key West areas demand. We have become the primary example for other Bartending Schools, leading the industry in producing thousands of today’s top bartenders over the years. With our doors open for over 6 years out of our original location in Miami Beach we are excited to head North and offer the program at Capone’s Nightclub in Downtown Fort Lauderdale. Like in all of our locations, we have always felt doing the program out of an actual bar setting makes for the most ideal classroom in which to learn bartending. Elite Bartending School’s program is very hands on; doing all lectures and practicing directly at and behind the bar. This provides the ultimate hands on experience for our students and provides all students with amazing nationwide job placement opportunities. All students have access to all of our Job Placement and event staffing opportunities in not only Fort Lauderdale, but also in Miami, Southwest Florida and The Florida Keys. We also continue to work with many bartending schools all across the country providing job placement for those who have a plan to move out of the area. 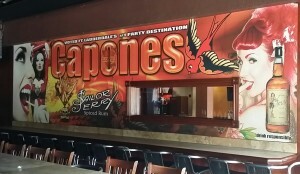 Capone’s Nightclub provides the perfect classroom setting for Elite Fort Lauderdale’s classroom. Being one of Fort Lauderdale’s most popular establishments, equipped with state of the art bars, and an optimal learning environment. Combine that with Elite Bartending School’s top notch curriculum, stellar instruction and award winning mixology and you have the ultimate applicable education in bartending today. Elite Bartending School’s classroom is hands on and all instruction is done at and behind the bars at Capone’s Nightclub. Elite’s classroom is set up with a diversity of today’s most commonly used liquor bottles to give students the most realistic look and feel possible. Students are always encouraged to come in or stay after class to practice behind the bar, even when classes aren’t in session. Students and Alumni are always invited into Capone’s for a drink when the nightclub comes alive to see their bartenders in action behind the bar. Capone’s even offers drinks to all Elite Alumni at a discounted rate! Call the school at 305-460-8070 to sit in on a free class, or schedule a tour! Elite Bartending School’s instruction is taught only by the most Elite in the business. Our owners are also our instructors. Our seasoned Instructors have over 25 years combined experience in what they do best, High Volume Bartending, spectacular customer service, and Mixology. Elite’s instructors have worked in some of the busiest high volume and mixology based bars in the world and will have all the answers to student’s questions. We take pride in being educated, charismatic, extremely patient. This helps in educating our students the right way, instilling only the best skills and talents into all potential students. All of our instructors are currently working in the bar business and look forward to continuing to educate the next generation of Elite Bartenders . Please see the “Instructors” section to see our qualifications and work experience! Elite Bartending School Fort Lauderdale is the perfect place for prospective bartenders to hone their skills in high volume bartender training, mixology and customer service. Elite’s classes are 100% “hands on” and are held and taught inside of one of Fort Lauderdale’s best nighclubs. This provides for a one of a kind learning center for all students. Combine that with Elite Bartending School’s state of the art curriculum, P.O.S. computer/register training, and nothing less than stellar instruction by bartenders who have worked years in prestigious high volume establishments and award winning mixology bars, and you have the most applicable and hands on education you can receive in bartending today. Elite Bartending School’s “hands on approach” is also taught with small class sizes to provide a more personalized, one-on-one training experience. Our program is a unique learning experience unlike any other and provides a real world bartending experience and an applicable education in today’s bartending world. Classes are also taught in Spanish as per demand. Call the school for details. Elite Bartending School Fort Lauderdale offers Point Of Sale computer training to all students who enroll in the school. Students will do hours of mock transactions by making drinks orders and ringing them in to learn how to properly operate the P.O.S system and its functions. This is an essential skill and great resume builer to have in today’s bartending world. Elite Bartending School Fort Lauderdale opens its doors early and stays open late. 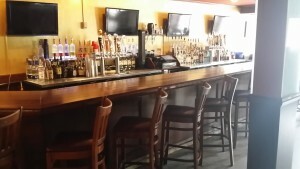 Students are able to practice behind the bar weekdays before or after class, or when classes arent in session. This unique option Elite offers its students allows them utilize the our unique learning environment to improve skills and speed to master their craft. Bartending and Mixology is an always changing and evolving industry. Something our students learn in class today may change in the future. This is why we have always been a firm believer in free continuing education for all of our Alumni Elite Bartending School offers free continuing education upon graduation in workshops such Speed classes, Mixology classes, and Flair. Students are welcome to sign up for these classes on our “Bartender Forums” section and attend as frequently as they can. This keeps our students skilled, knowledgeable and Elite! Elite Bartending School Fort Lauderdale offers all students and Alumni unlimited lifetime nationwide job placement. Specializing in job placement for our students all throughout Southwest Florida, Miami, Ft. Lauderdale, and The Florida Keys via our social networking site called the “Bartender Forums”. This one of a kind job placement site is private, and accessible only by Elite Bartending School’s Job Placement Coordinators, Current Students and Alumni. On top of top notch job placement and event staffing, the Bartender Forums keeps Elite’s students up to date on day to day school activities, upcoming free continuing education workshop dates, the latest knowledge on mixology, theory, flair bartending, and resume postings. Once enrolled in the program students are given their username and password and have access to any and all events posted though Elite. In the past 6 years Elite has and continues to exclusively staff hundreds of Alumni each year for full time employment all throughout Florida, including all major events in South Florida such as Fantasy Fest (2012,2013,2014) Ultra Music Festival (2009 – 2015), The Cadillac Golf Championships in Doral (2014-2015)and full time employment for venues like the American Airlines Arena (2011 – 2014) for all Miami Heat home games and concerts. Elite takes pride in staffing only its students for the best money making events and full time bartending jobs. We always deliver Excellent and consistent job placement that all students and Alumni can count on. Join us! Elite Bartending School’s tuition includes a lifetime membership. We have an open door policy for Alumni during normal business hours. Graduates are encouraged to come back after completing the course to sit in on a class, ask questions, touch up skills behind the bar, and/or obtain assistance in job placement.